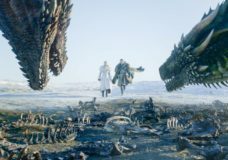 NEW YORK (AP) — HBO’s “Game of Thrones” lived up to the hype. 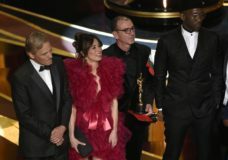 This past weekend’s season premiere stands as the most-watched one-day event in the history of the cable network that began in 1978. 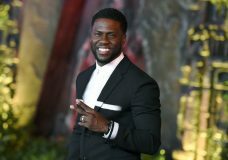 NEW YORK — Just two days after being named host of the Academy Awards, Kevin Hart stepped down following an outcry over past homophobic tweets by the comedian. 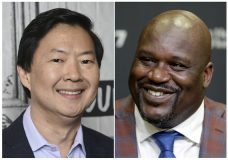 LOS ANGELES — Shaquille O’Neal and Ken Jeong are trying out as comedy teammates. 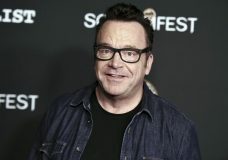 TBS said it has ordered a reality series pilot that will test the pair’s ability to take on odd jobs. NBC News says the “Megyn Kelly Today” show is being canceled. 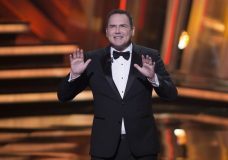 NEW YORK — “The Tonight Show” canceled an appearance by Norm Macdonald after criticism of his comments about the MeToo movement and fellow comedians Louis C.K. and Roseanne Barr. 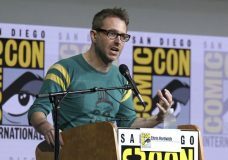 NEW YORK — AMC host Chris Hardwick is returning to work after a review of sexual assault allegations against him by a former girlfriend. 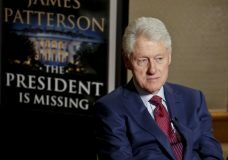 WASHINGTON — Former President Bill Clinton says the #MeToo movement is overdue. 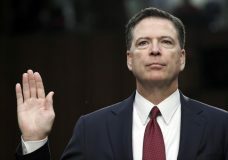 Just don’t ask him about Monica Lewinsky. 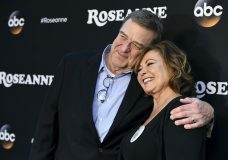 ABC has canceled its hit reboot of “Roseanne” following Roseanne Barr’s racist tweet about former Obama adviser Valerie Jarrett. WASHINGTON — Adult film star Stormy Daniels says she was threatened to keep silent about an alleged sexual encounter with Donald Trump in 2006, telling her story in a highly anticipated interview with CBS’ “60 Minutes” broadcast Sunday. 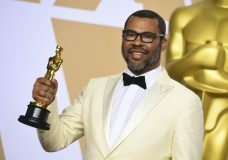 LOS ANGELES — Jordan Peele had to dig deep to get the horror-satire “Get Out” to the screen, and his reward was the first original screenplay Oscar for an African-American. 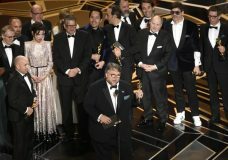 LOS ANGELES — Against all odds, love won out at the 90th Academy Awards.